Hear tender piano-led works from the French composer and multi-instrumentalist behind the Amélie soundtrack, performing from his new album All. 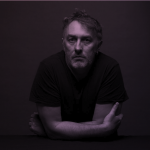 All is the first recording from Yann Tiersen's new studio, The Eskal Project, built in an abandoned discotheque on the island of Ushant, positioned between Brittany and Cornwall. Incorporating field recordings from his Brittany home, the redwood forests of California and Tempelhof airport in Berlin, plus guest vocalists, All continues the themes explored on Tiersen's earlier album EUSA.